After the screening, my friend Alice summed it up perfectly in our little WhatsApp-group, when she wrote that she would have loved to like the movie more than she actually did. My thoughts exactly. I liked the basic idea, there’s a nice reference to “Let the Right One In”, the performances were very good (especially newcomers Eric Ruffin and Chloe Levine), and I was really glad that they spared us a last-minute twist, which I feared would be inevitably coming for pretty much the entire running time. So at least, there’s that. Unfortunately, “The Transfiguration” mostly was a drag. One of my main issues with the movie was that it started off with Milo killing another guy. As much as I would like to praise this as a very brave move, ultimately I think that it was the wrong choice, at least when it comes to me. If Michael O’Shea would have introduced Milo to me before that, and made him likeable, my emotions would have been more conflicted. As it is, though, I never could get past this bloody introduction. Murdering innocent strangers who didn’t do anything just isn’t my kind of thing (I know, I’m weird that way). Thus, Milo lost my sympathy in the very first scene, and after that, the movie never enabled me to bond with him. 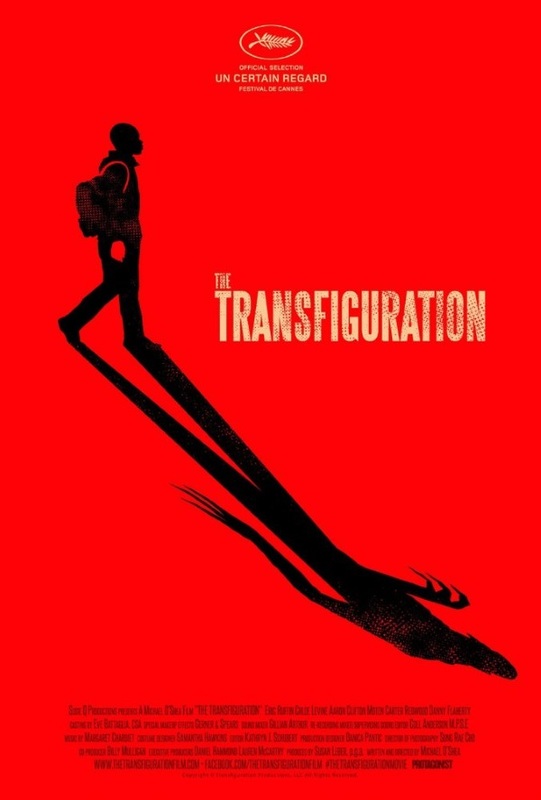 Which made “The Transfiguration” rather boring and difficult to sit through, since it’s so clearly centered around him. It also means that I didn’t root for Eric and Sophie as a couple, even though she seemed to bring down his homicidal tendencies for a while. And I’m also not quite sure what I think of his elaborate plan at the end. Before he goes to such lengths, he might as well have tried an easier way first. I liked the short scenes that tried to explain how he ended up being that way (even though they came too late to redeem him for me), and in itself, the story and its ending are quite tragic. But without feeling any sort of connection to the main protagonist, I’m afraid “The Transfiguration” was mostly dull and exhausting for me. This entry was posted in /slash, cinema 2016, movie reviews, new releases and tagged /slash, /slash 2016, cinema 2016, Michael O'Shea, The Transfiguration, USA. Bookmark the permalink.